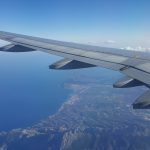 ✅ Verified Review | On October 10th we flew from Vienna to Karpathos which turned out to be the last passenger flight with this Airline to this destination, due to the sad development. The crew worked flawless as ever and was extremely friendly despite the fact that they are not quite sure about their professional future. Not a single mention came up about that but you could see and sense their feelings. We are exceedingly angry about the fact that many thousand passengers loose their money and some thousand well working employess lose their job. Many many thanks and good luck for the crew and all the other employees of AB/Niki. "should be ashamed of your policy"
✅ Verified Review | Flew Innsbruck to Palma. €101 to carry a suitcase is shameful. I thought Ryanair were deceptive in their hidden costs but this is completely unjustifiable. You are required to book cases 30 hours prior to flying, we tried 24 hours before as we hadn't fully packed and didn't know our requirements. NIKI you should be ashamed of your policy. ✅ Verified Review | Berlin Tegel to Vienna. 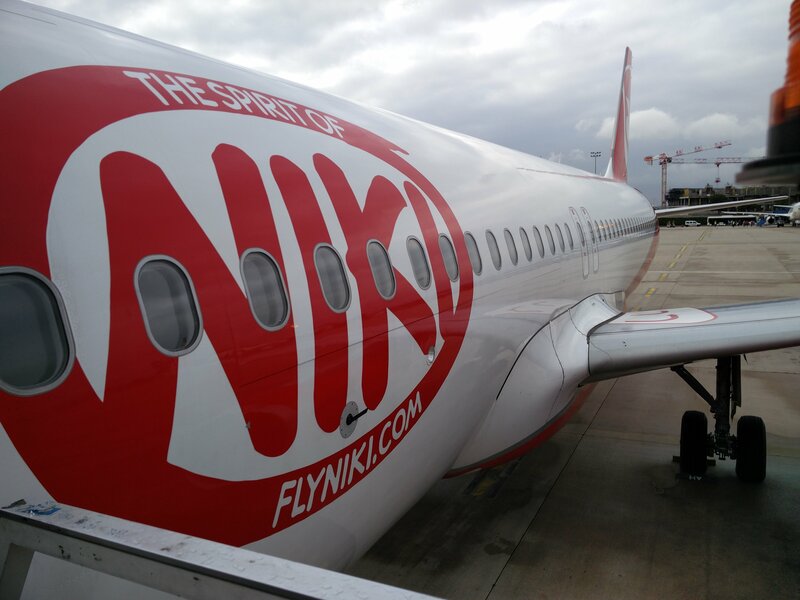 On my short weekend trip to Vienna I ended up in a Niki aircraft, although booked with Air Berlin. You can see a small difference between Niki and its bigger sister, for example the crew wear an pink/violet uniform and probably the main difference being that Niki still gives the complementary drinks (one hot and one cold) and a little snack (a vegetarian and a non-vegetarian option) and it was like in the old days at Air Berlin. The flight was of course, on time. The crew were very friendly the seat was very spacious (I got one with extra-legroom as a topbonus platinum) A nice airline for a nice flight. "a nice short journey "
✅ Verified Review | Took a short flight from Paris to Vienna and the flight was delayed due to unknown reasons. The aircraft was clean, crew members were welcoming. I didn't expect free meals from low cost airline but was served sandwich and drinks. I hesitated while booking a flight with Niki but it was a nice short journey apart from little delay, will consider in future. "I got customer not found"
✅ Verified Review | Vienna to Abu Dhabi return. We booked our flight with FlyNiki from Vienna to Abu Dhabi and return. The inbound flight was okay, web check in worked like a charm once I called Etihad to see why I can't check in with them, and they pointed me to FlyNiki. One suitcase got devastated (no wheels left in Abu Dhabi) but they are not to blame. The problem came with the return flight. I tried checking in as usual on their website, tried the confirmation number first and got error: customer not found. Then I decided to try the tickets and lucky me, I got checked in. This however was not the case for my family. Every time I tried checking them in I got customer not found. I have tried contacting them the very same night with no success (their Abu Dhabi toll free number doesn't work). Finally gave up and contacted them via the online form (after almost 30 minutes of struggling with the thing). Next day I woke up and tried all the numbers I could find - Abu Dhabi airport, Etihad, Toll free number (all of these cost money to call) with no success. Not knowing if my family even had a chance of flying I contacted the hotel's concierge, who was lucky enough to get me through to AirBerlin. Now comes the funny part: the guy on the line confirmed all tickets are valid but I wasn't checked in, nor had any other passenger on the flight. The flight was empty. So I asked him if we go to the airport and check in there, would it be possible to get seated one next to each other (at least my wife and the kid). He said it's not a problem. Going to the airport the flight turned out to be full and it was only because of the kindness of the Etihad staff that we got adjacent seats. The thing that angered me the most was they did answer the contact form on their site 2 hours before the flight saying: We also want to inform you that for this reservation wasn't made any check-in for any of the tickets. The airport has already took control over the tickets so a check-in directly at the airport will be necessary. They don't even know what's happening with their own reservations. 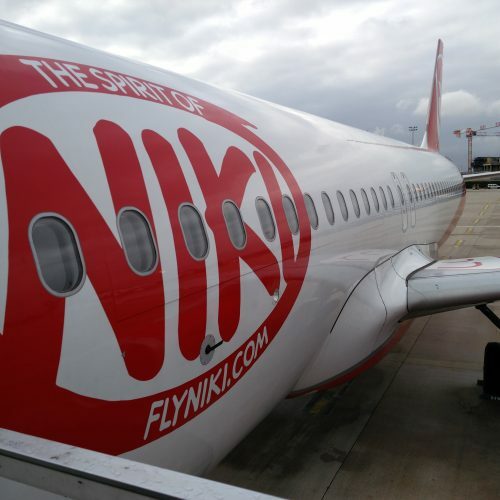 "Niki's service is not that good"
Niki is no low cost airline anymore (if it ever was one). Flights between large European cities cost up to 100€ and more, also my flight from VIE to FCO was not cheap but Niki's service is not that good. The only thing Niki offers you compared to other airlines is a cold and ugly sandwich plus a soft drink but it is not worth the price. However the ground staff (which in fact were staff from the airport) were experienced and friendly. Despite that the cabin crew was unkind and sloppy and their english-skills had been disastrous. The IFE was made up of a safety video and a map not more. ✅ Verified Review | Flew NIKI from Valencia to Vienna. Quick boarding and on-time departure. Cabin was clean and the flight was smooth and relaxed. Cabin crew provided drinks and a very good cheese sandwich. Later they provided us another round of water and coffee. Seats a little bit narrower than other airlines. Paid 120 € for a return ticket for flying with a very good airline. 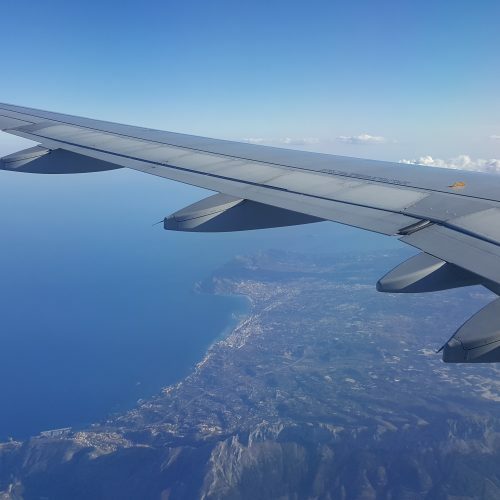 ✅ Verified Review | I flew from Alicante to Vienna return with NIKI. On the outbound flight, we had a big delay. When we boarded, the plane had not been cleaned with previous passengers trash. The seats were uncomfortable and narrow. There was no space for your legs and as they put in so many rows of seats, the hand luggage does not fit. There are some screens. However, you have to pay for headphones and there were no subtitles. The screen was just above my head and the next screen was too far away, so they were pretty useless. On the positive side, they give you a sandwich and a small glass to drink. On the inbound flight at the check-in counter they printed the boarding pass of another passenger. Fortunately I noticed it in time, but the staff attended to me with very bad manners as though it was my fault. We had another delay because the staff were weighing all the hand luggage. 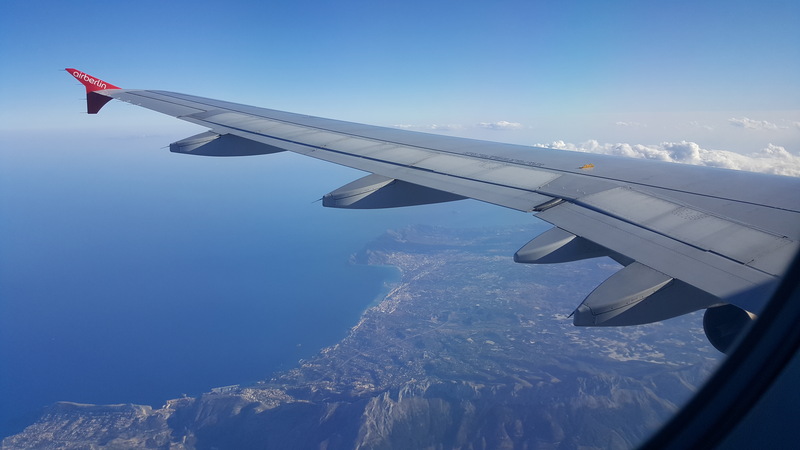 ✅ Verified Review | I flew with NIKI this week from Vienna to Alicante and back and it was a great experience. It's not expensive, return ticket was €140 with check-in luggage which is not bad. You also get nice onboard service. Sure a sandwich isn't a full meal but it's enough and we had 3 rounds of drinks with a selection of coke, fanta, sprite, water and quality juices. I also like screens which showed the 'Big bang theory' and our flight info. I will fly with them again, it's great value for money and you keep both your money and your dignity. Spotless short flight with NIKI operated with a very clean and good looking plane, polite crew and ontime departure/arrival which is more than enough for me to be satisfied about this short hop to Vienna where I had to attend a congress. A big plus is they fly from Linate airport which is much closer to my house than Malpensa and this is why I did not fly Austrian as I usually do for this route. Their website worked well so checking-in online was very easy both ways. I will surely fly them again inside Europe.